A list of securities investment bankers are prevented from trading. 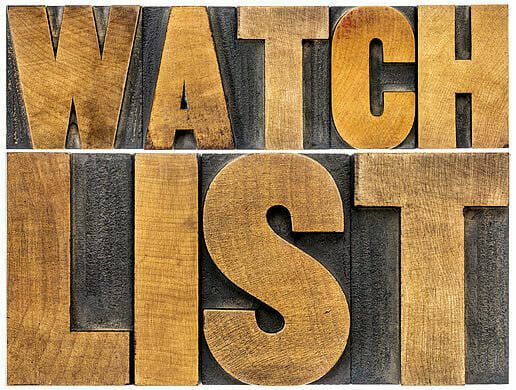 What is a trading watch list? In investment bankingInvestment BankingInvestment banking is the division of a bank that serves governments, corporations & institutions, providing underwriting (capital raising) and mergers and acquisitions (M&A) advisory services., a trading watch list is maintained by the compliance group to comply with legal and regulatory requirements, mitigate conflicts of interest, prevent insider trading, and support information barriers. A watch list facilitates compliant securities trading surveillance and research monitoring activities to safeguard against improper use or disclosure of material nonpublic informationMaterial Nonpublic InformationMaterial Nonpublic Information is information that would affect the market value or trading of a security and that has not been disseminated to the general public. It is considered insider information. Information is considered to be "material" if its dissemination to the public would likely affect the market by a bank or its employees. The following three examples illustrate situations where a security may be added to a bank’s watch list. The investment bank been invited to make a pitchInvestment Banking Pitch BookHow to make an investment banking pitch book. This guide will teach you what's included, how to make an IB pitch book, and provides examples of slides to a client concerning a prospective material transaction (where the client appears to be reasonably committed to proceeding with the transaction within the near term) that would involve a publicly traded securities issuer. The bank has signed or is negotiating definitive terms of an engagement letter with the securities issuer or an interested third party in respect of a proposed material transaction. The bank has been invited to lead or co-lead, manage, or participate as an underwriter in connection with any distribution. When it has been determined that any of the above situations apply, Compliance must be promptly informed to add the corporate issuerCorporate InformationLegal corporate information about Corporate Finance Institute (CFI). This page contains important legal information about CFI including registered address, tax number, business number, certificate of incorporation, company name, trademarks, legal counsel and accountant. to the watch list. Investment bankers have the continuing responsibility for updating compliance of the status of each transaction so the appropriate monitoring of the bank’s trading and equity researchEquity Research AnalystAn equity research analyst provides research coverage of public companies and distributes that research to clients. We cover analyst salary, job description activities can be achieved. It is also important to include the names of any potential target companies or a buy-side mandate or any potential acquirers or financial sponsors of a sell-sideBanking (Sell Side) CareersThe banks, also known as Dealers or collectively as the Sell Side, offer a wide range of roles like investment banking, equity research, sales & trading mandate, if applicable, as well.